Just Dreaming Private Yacht Charter is a great way to travel to the Oakland Estuary. 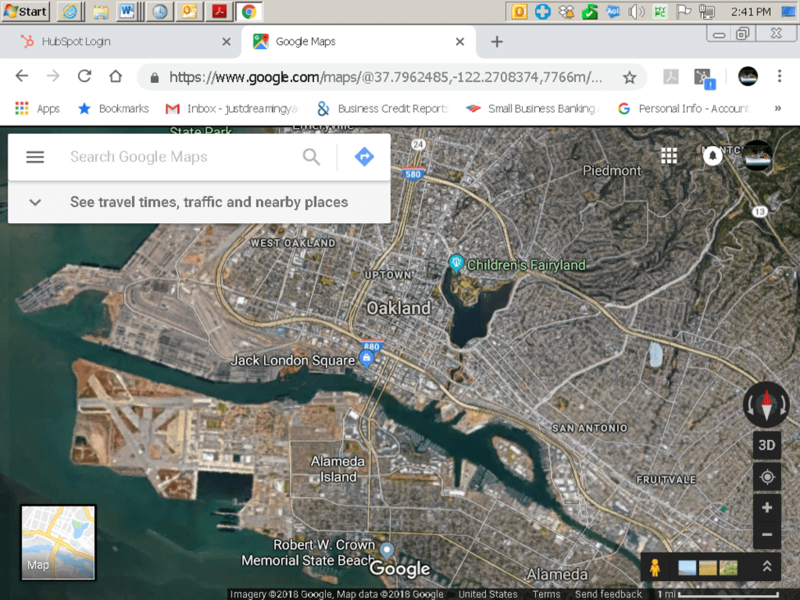 From on board, you get to relax with your friends, family, or co-workers while you view Jack London Square, Coast Guard Island, and the cranes of the Port of Oakland. A trip to Oakland Estuary is perfect for a half-day adventure, complete with sightings of pelicans and sometimes seals. Just Dreaming Yacht is an elegant and comfortable vessel. The Oakland Estuary is frequently sunny and filled with activity. Cruising the Bay on your own private yacht charter is relaxing. Just Dreaming Yacht holds up to 40 people, making it ideal for smaller, more intimate gatherings. Just Dreaming can dock at Jack London Square. 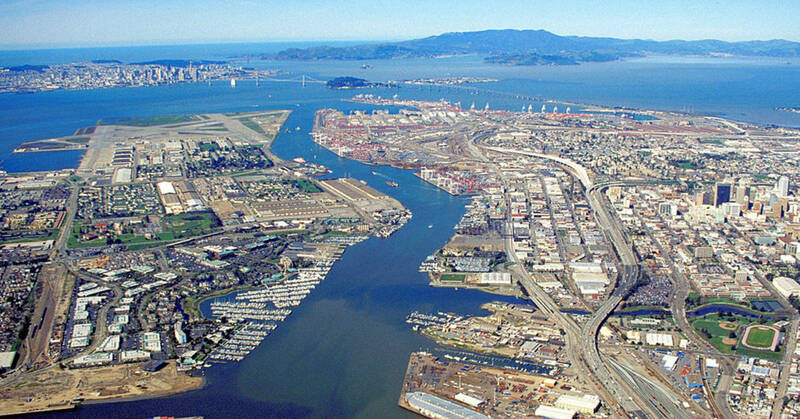 The Oakland Estuary offers warmer, sunnier weather than the rest of the San Francisco Bay. The breeze is light and pleasant as one travels between Oakland and Alameda. The trip to Oakland Estuary is on calm waters, making the cruise comfortable for all passengers. Tell us a little bit about who will be on board and if it is a celebration, work outing, or just a quick getaway from your daily life. Provide some days and times that will work for your cruise. Let us know what you’d like to eat and drink. There is a secret world to explore right in our Bay. It is unique unto itself. And you can only see it by boat. You never know what you are going to find. 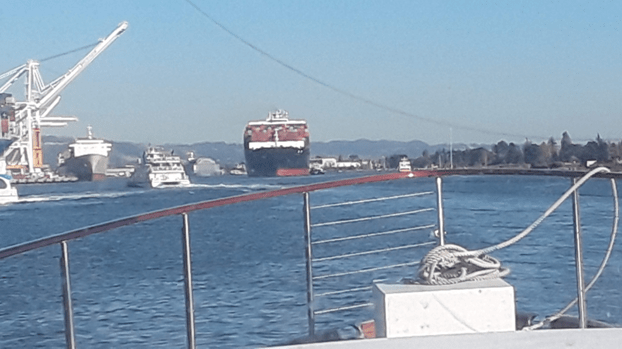 There are days that you enter the Oakland Estuary to face an oncoming container ship. One of the largest moving objects known to mankind is heading for you. Unlike Disneyland, everything is real. A Container Ship Heading Straight Toward You.